Have you ever noticed that the to-do list generally gets longer and longer? I have a long, very long list of projects, wish lists and to-do list that get added to almost every week. From cleaning out the garage to painting my son's room, I wish that I had 26 hours a day to accomplish all those tasks. Still, even if I had time, it may not be worth it to spend on these tasks that I don't do well. With the app, Waytaskers, the app that just "way" my tasks away. Waytaskers works on a basic premises, your time is valuable. The app work in the following manner. First, post a task that you need completed, like paint a room, fix my door, etc. Second, wait for bids on the task that you want completed. Next, accept an offer to help with your task. Then, sit back and save time while your task is completed. The Waytaskers app is beneficial not just for the person who needs a task completed but also earns cash for the person working the task. For those with an expertise or a little extra time, they can complete these projects for money. The app helps both the task seeker and task completer in a beneficial way. Available both in app format and online, Waytaskers is free to post and/or accept a job. The outsourced tasks are generally available at a reasonable price. Waytaskers is available in the iTunes app store and as well as the Google Play store. The company's website is http://www.waytaskers.com/. Resolve your to-do list. You time is valuable. 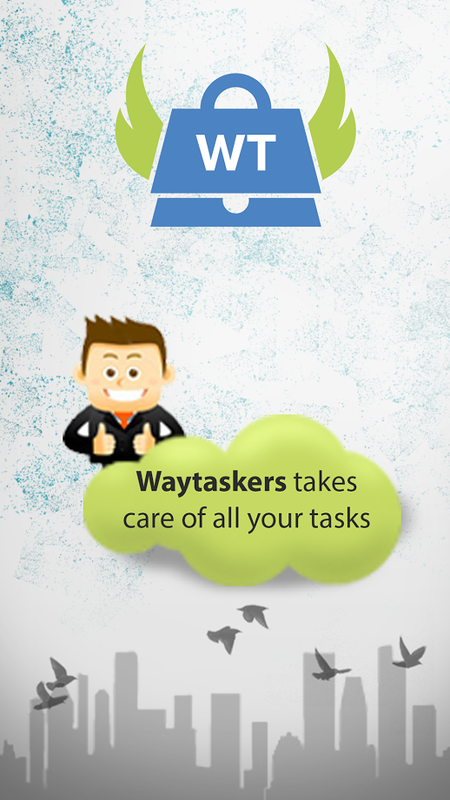 Let Waystaskers simplify your life. Disclosure: This post was written in conjunction with Waystaskers and the writer was compensated for her time. All opinions are her own. Oh this is great! I'll check it out there's definitely stuff that needs to be done around the house. That's a pretty cool concept. I would get so much done around the house. I have a never ending list.thank you for the tips. This sounds like an awesome app. I could sure benefit from it. Thanks! I just added the app. Wow! What a great idea! This would be very helpful as I have a lot of outdoor things that need to be done that I honestly can't preform on my own. I'll be looking into this and might give it a try. I haven't heard of this, but I will definitely keep it in mind next time I need a home repair. Currently, I have a Windows phone, I hope developers will make more apps for Windows phones. Either that or I need to get my Andriod back. I really liked the apps I had before and this one looks like it could be helpful, especially for homeowners. This sounds like a very interesting app, it's not something that I would use, I can't see myself soliciting strangers to help with tasks. This sounds like a great idea. I wouldn't see me using it. I have built in help, 3 sons and a son-in-law. I got a lot of things done today, I can only imagine how many more things I could get done next week. This is a great idea. My phone doesn't do apps but if it did this would be nice. Very innovative! Thank you for sharing! I don't think I would this app. I like my to-do list. I feel accomplished at the end of the day. Thanks for the review of this really useful app. This is an awesome idea! I'm not a very trusting person when it comes to strangers, but I would be interested in being an actual task-doer, lol, I'm always up for making extra cash! This could be really beneficial to busy mom's or dads. What a fabulous app! Love this. Apps are amazing. I have apps on my old phone and I miss using it all the time. In fact, I kept my old Android phone and use it around the house with the wifi because my Windows phone doesn't have the apps that I currently have on there. I have been looking for a app like this! I will definitely check it out. This is great for the retired person, that wants to do something, but cannot do lots, or just to fill their time. Not to mention the working moms and dads. Love it!